Hakkari Yuksekova Saladin Ayyubi Airport, Turkey's Hakkari province serving the airport. It is located in the district of Yuksekova. 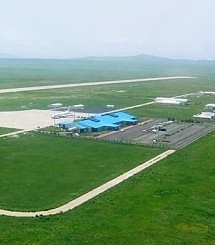 Airportna, which was opened in 2015 for two years, was named after the Kurdish Muslim leader Salahaddin Ayyubi. If you require reliable, comfortable and affordable transport to and from Hakkari Airport you can make a booking in a few easy steps by clicking on “Transfer Planning”. If you wish to make a telephone booking, you may speak to our dedicated and efficient call center staff members on +90 216 688 54 00. Please click for Hakkari transfers.